On Thursday 16th June, the Flamaville-3 EPR project played host to the 28 athletes taking part in the Sofinel Run in aid of the Dunes d’Espoir non-profit organisation. Covering a distance of around 700 km, the cyclists and runners made a special stop at the Flamanville EPR construction site in order to chat and relax with the local workforce. 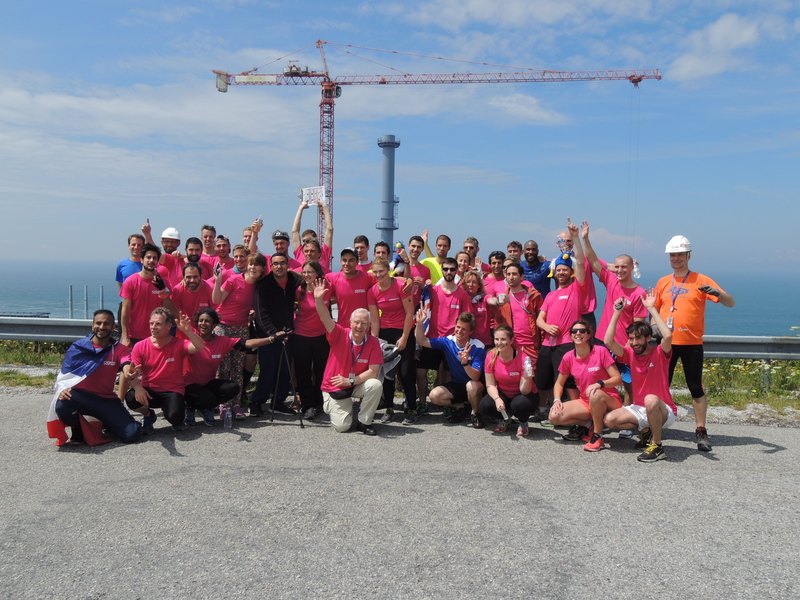 After successfully organising the first race of this kind in 2015, Sofinel (a company in charge of design engineering work for the nuclear island of the Flamanville EPR facility) has proudly repeated the experience in 2016. The Sofinel Run is a 3-day race across 2 different countries, the aim being to forge a strong bond within the 1 team. The race forms a link between the towns of Malakoff and Bristol with a stopover at the Flamanville EPR site, covering a total distance of around 700 km. Keen to play a more active role in the event, EDF hosted the 28 athletes at the Flamanville EPR site, so that participants could chat and relax with the local workforce. The athletes were thus given the opportunity to meet with Antoine Ménager, Head of EPR Infrastructure and Facilities. Dunes d’Espoir, a non-profit organization, seeks to foster enthusiasm for running among young disabled people. Supported by a team of seasoned athletes, young people driven by the determination to surpass themselves trawl the whole of France looking for competitions. The organization has already taken part in the Marathon des Sables (Morocco) and in the Paris Marathon. This initiative gives them new insights into what is seen as debilitating and helps them to perceive life differently.